Most people who have created videos using a Mac have tried out iMovie. The built-in video maker that comes with every Mac has raised the bar in many ways, but mostly due to its user-friendly nature and impressive features. For beginners iMovie is an excellent tool that allows them to edit videos without going through a steep learning curve, whereas for more experienced users it can still be useful due to its range of capabilities. The only problem that iMovie users often have is that it is an exclusive Mac app. In other words if you migrate to a Windows PC there is no way for you to use iMovie, and so you’ll have to look for another video editor instead. 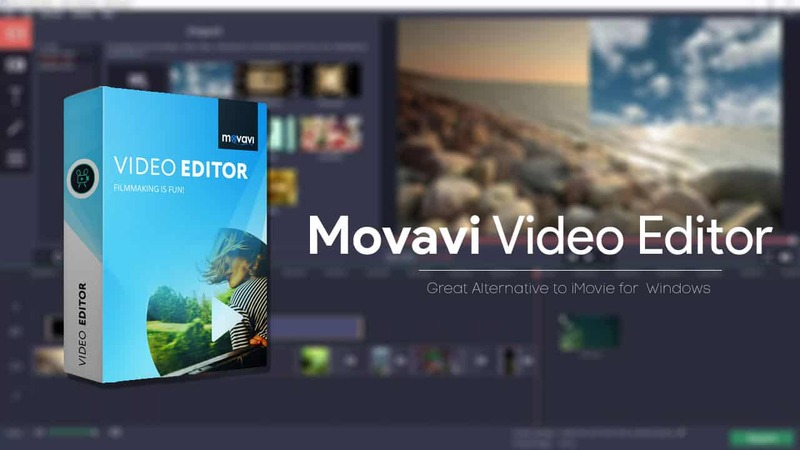 While many of the editors you’ve looked into may fall short, there is one that has proven to be a good alternative to iMovie: Movavi Video Editor. If you’re looking for an alternative to iMovie that works on Windows, you’ll undoubtedly want a video editor that has the same user-friendly approach that is its hallmark. In that regard Movavi Video Editor won’t disappoint, and in fact it may surprise you just how intuitive it really is. In the same way iMovie has a simple and straightforward interface, Movavi Video Editor does as well. If you’ve used iMovie in the past its timeline-based structure will be familiar enough, and navigating through all of its features will be a piece of cake due to how they are cleanly separated into tabs. Every action that is required to edit videos using Movavi Video Editor is simplified as well and distilled to its most basic form. Generally you will just need to click a few buttons, adjust sliders, drag and drop elements into place, and perform other simple actions that will feel almost natural. Some of the features in Movavi Video Editor are automated, to make them easier to apply. In this way you’ll be able to use features and effects that are normally considered to be ‘advanced’. While its intuitive nature is definitely a big part of what makes Movavi Video Editor an impressive alternative to iMovie, the other reason you should give it a try is the fact that it has an extensive range of features. Simply put you can expect to be able to edit your video in exactly the way that you would with iMovie, and may even be able to do more with the features in Movavi Video Editor. Process video footage and split it into segments, trim out unwanted parts, merge clips together, or rearrange footage into the sequence that is required. Enhance the quality of videos by adjusting the color levels and applying other tools to correct any common issues such as blurry, shaky, or pixelated images. Add multiple audio tracks containing background music, voiceover narrations, or other sound effects. Edit audio to normalize it, adjust sound levels, apply audio effects, and more. Apply a wide range of special effects and filters to transform the visual style and appearance of videos and give them a unique look. Place animated transitions between video segments to link them together and liven them up. Insert text elements and customize their appearance to create captions, subtitles, watermarks, and other unique forms of text. Use the ‘Montage Wizard’ to automatically select and edit multiple video clips into an instant movie. In a nutshell Movavi Video Editor has everything that is needed to create attractive, professional-looking or even Hollywood-like video productions. As you can see its capabilities are a match for iMovie, and if you’d like to know more about how it stacks up you can visit http://www.movavi.com/support/how-to/imovie-for-windows.html. 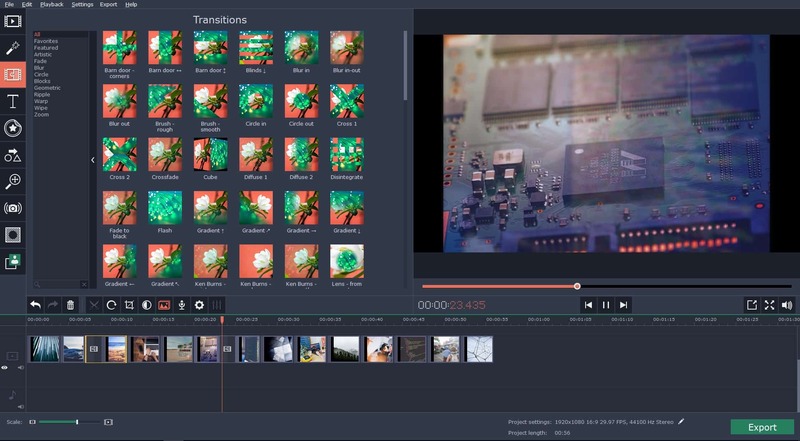 All said and done if you want a way to be able to edit your videos quickly and effectively on a Windows PC in much the same way you’ve done with iMovie – Movavi Video Editor should fit your requirements perfectly. If you have any doubts just give it a try so you can see for yourself what it brings to the table.